Responsible Registered Nurse. 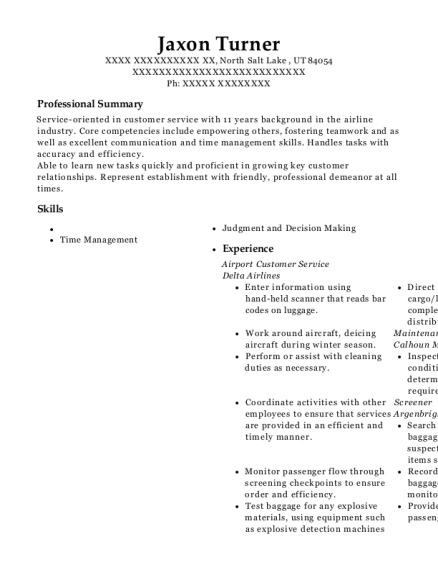 Passionate and motivated, with a drive for excellence.Handles tasks with accuracy and efficiency. Newborn Hearing Screener Jan 2014－Present Onsite Neonatal Partners Voorhees Township, NJ Perform hearing screenings on newborn babies before they are discharged from hospital. Record results in charts and computer. Talk with parents about results. Refer babies that did not pass hearing screening to outpatient facilities. Enter billing for hearing screenings. Teach parents and family members newborn care. Supervise nursing staff on Labor and Delivery unit. 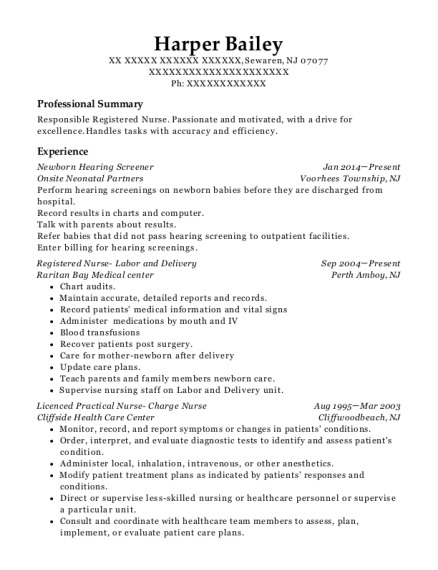 This is a resume for a Newborn Hearing Screener in Sewaren, New Jersey with experience working for such companies as Onsite Neonatal Partners and Raritan Bay Medical center. 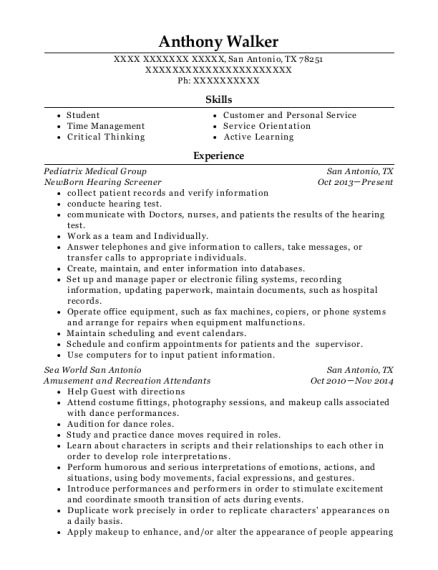 The grade for this resume is 0 and is one of hundreds of Newborn Hearing Screener resumes available on our site for free. 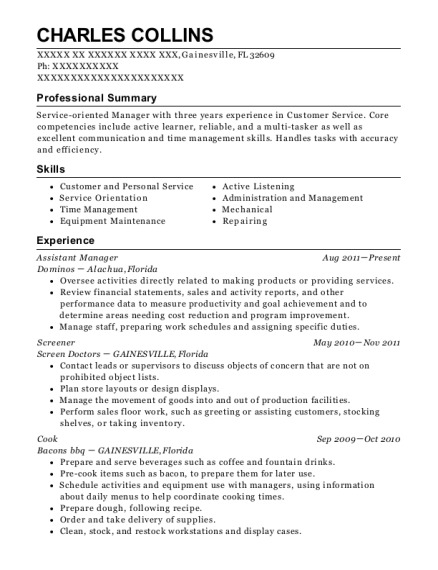 Use these resumes as templates to get help creating the best Newborn Hearing Screener resume.